As details of the larger strategic picture emerge over what is at stake in the Georgia and larger Caucasus crisis it is becoming clearer that Moscow is determined to roll back not to the borders of Stalin and the Cold War of 1948. What Putin and now Medvedev have begun is a process of defusing the highly dangerous NATO expansion, led by the Washington warhawks since the end of the Cold War in 1990. Had events progressed as Washington had planned up until the surprise rejection of NATO membership from no less than ten European NATO member countries, including Germany and France at the April NATO Summit, Georgia would today have been in the admission process to NATO-ization along with Ukraine. That would have opened the door to full-scale encirclement of Russia militarily and economically. In a certain sense it is not interesting who fired the first shot in South Ossetia in the night of 8 August. Clear is that Russia had prepared well for such a shot. To understand events, we need to go back to the basics of geopolitical fundamentals and US or Anglo-American strategy since 1945. This is what Russia has challenged by its response to Georgia’s attack. 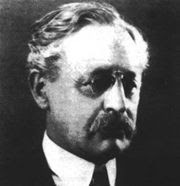 What few people realize is that the architect of America’s post-1945 grand strategy was a British national, Sir Halford Mackinder. Mackinder, the grand strategist of British imperial power since his landmark 1904 paper, the Geographical Pivot of History, defined how the United States could dominate the post World War Two world in a contribution to the leading foreign policy organ of the United States, Foreign Affairs. In his July 1943 Foreign Affairs article, written a few years before his death but when it was clear that the United States would replace the British Empire in the postwar world, Mackinder outlined the vital strategic importance for American global strategy of controlling what Mackinder called the ‘Heartland.’ He defined the Heartland as the northern part and the interior of Euro-Asia, essentially Russia-Ukraine-Byelorus—what was then the USSR. For Mackinder the strategic import of the Heartland was its special geography, with the widest lowland plain on earth, great navigable rivers and vast grassland zones. Only a US veto of Churchill’s geopolitical plan delayed the Cold War by three years. Difficult to understand for many is that the Cold War was in large part a US geopolitical strategy to dominate the post-war global order by using a hostile Russia and a hostile China in Asia after the Korean War, to make United States military protection via NATO and via various Asian defense arrangements, the essential fact of postwar life. The collapse of the Soviet Union in the early 1990’s suddenly confronted Washington policymakers with a devastating strategic dilemma. Their “enemy image”—the Soviet Bear, was gone. China was an economic partner. There was no need for NATO to continue beyond a period of careful disarmament on both sides. America's emergence as the sole global superpower now makes an integrated and comprehensive strategy for Eurasia imperative. Eurasia is home to most of the world's politically assertive and dynamic states. All the historical pretenders to global power originated in Eurasia. The world's most populous aspirants to regional hegemony, China and India, are in Eurasia, as are all the potential political or economic challengers to American primacy…Eurasia accounts for 75 percent of the world's population, 60 percent of its GNP, and 75 percent of its energy resources. Collectively, Eurasia's potential power overshadows even America's. Eurasia is the world's axial supercontinent. A power that dominated Eurasia would exercise decisive influence over two of the world's three most economically productive regions, Western Europe and East Asia. A glance at the map also suggests that a country dominant in Eurasia would almost automatically control the Middle East and Africa… What happens with the distribution of power on the Eurasian landmass will be of decisive importance to America's global primacy and historical legacy. That Bush Doctrine policy went so far as to justify for the first time ‘pre-emptive’ war, such as the attack on Iraq in 2003, to depose foreign regimes that represented a threat to the security of the United States, even if that threat was not immediate. That doctrine ended definitively for much of the civilized world the American legitimacy in foreign affairs. Washington conveniently suffered a case of diplomatic amnesia as people like John McCain’s foreign policy guru, Randy Scheunemann , a leading neo-conservative hawk, led the campaign after 1991 to bring Poland, the Baltic States, the Czech Republic and other former Warsaw Pact states into NATO. Moscow, not surprisingly, became alarmed at the pattern. Understandably so. Finally when Washington announced in early 2007 that it planned to station its missile ‘defense’ array in Poland, including US missiles, and in the Czech Republic, then-President Putin reactzed loudly. His remarks were largely censored by the ever-watchful US media, and only the comments of US officials expressing ‘shock’ at the hostile reaction of Russia to the US missile defense plans, were reported. What few people outside military strategy circles know, is that missile defense, even primitive, is as one leading American missile defense strategist put it, “the missing link to a nuclear first strike capability.” vii If the United States is able to deploy missile defense on Russia’s borders and Russia has none, the US has won World War III and is in a position to dictate terms of unconditional surrender to Russia, its dismemberment as a viable nation, its entire dismantlement. Little wonder that Putin reacted. Moscow strategists know full well what US military adventures have been since the 1940’s. If we follow the latest Russian foreign policy moves with the recognition of South Ossetia and Abkhazia as sovereign independent states, Russia’s August 29 agreement with Tajikistan that allows Russia to expand its presence at Tajikstan’s Gissar Airport. The fact of that agreement was a potentially devastating blow to Washington’s Eurasia geopolitical strategy. Tajikistan, a remote central Asian country with dependence on Russia for export of its uranium and dependent on heroin for much of its income, was drawing closer to a strategic link with Washington after 2005. In the wake of the Russian reaction in Georgia, Tajikistan’s dictator President, Emomali Rakhmon clearly decided his best security guarantee lay in closer ties with Moscow not Washington. The government of pro-NATO ‘Orange Revolution’ President Viktor Yushchenko in Ukraine collapsed on September 3 when Yushchenko pulled out of the ruling coalition over the refusal of Prime Minister Yulia Tymoshenko to back the president in his support for Georgia and condemnation of Russia in the recent conflict over South Ossetia. Yushchenko accused Tymoshenko of ‘treason and political corruption,’ over her failure to back a pro-US stand. He also withdrew over new laws passed by Tymoshenko’s party in de facto coalition, stripping the President of his veto on prime ministerial candidates, and facilitating a procedure for impeaching the president. According to Russia’s RAI Novosti, Ukraine's pro-Russian former prime minister, Viktor Yanukovich, who heads the Party of Regions, has said that he does not rule out the possibility of forming a parliamentary majority with the Yulia Tymoshenko Bloc. Such a move would likely remove from the discussion the entire issue of a Ukrainian application to join NATO. American global strategy is in crisis, and this is clearly what Moscow has sensed. The United States has insufficient power to cope with the war in Iraq and increasingly in Afghanistan. Both were to have been an essential part of a US policy to militarily control Eurasian rivals, especially Russia and China. However, to act militarily beyond sabre rattling against Russia in Georgia has now been exposed for all Georgia’s neighbor states as essentially a US bluff. Continuing the current US strategy means dealing with the war on Islam rather than the Russian one. The confluence of US Presidential political posturing, a devastating US economic and financial crisis that is worsening by the day and the loss of credibility for US foreign policy around the world since the Bush Administration came to Washington in 2001, have created the opening for other powers to begin to act on what would be Halford Mackinder’s worst nightmare: A Russian Heartland that is vital and that is able to forge strategic relationships, primarily not through guns as during the Cold War, but through economic and trade cooperation, with China, Kazakhstan and other members of the Shanghai Cooperation Organization. Washington has made devastating strategic miscalculations, but not merely in Georgia. They began back in 1990 when there had been a beautiful opportunity to build bridges of peaceful economic cooperation between the OECD and Russia. Instead, George Bush senior and the US sent NATO and the IMF east to create economic chaos, looting and instability, evidently thinking that a better option. The next President will bear the consequences of having lost that opportunity. * F. William Engdahl is author of A Century of War: Anglo-American Oil Politics and the New World Order (Pluto Press), and Seeds of Destruction: The Hidden Agenda of Genetic Manipulation (www.globalresearch.ca) and his new book, Full Spectrum Dominance: Totalitarian Democracy in the New World Order (Third Millennium Press) is due out in late October. He may be reached at www.engdahl.oilgeopolitics.net.